With its mix of project cargo, breakbulk, general cargo and minor bulk, the multipurpose sector is one of the trickiest to follow, but Drewry’s close study of this market suggests an improvement is on the way. The past five years have been hugely difficult for multipurpose operators, with the container and Handysize bulk sectors encroaching on its traditional markets and project cargoes drying up. But now that the recovery in the container market looks set to continue into next year, the prospects for multipurpose vessels (MPVs) are looking brighter too. There are several reasons for optimism, even though the improvement will be modest. First, there is the general economic recovery. Demand growth will be driven by GDP growth, and the IMF’s growth forecasts have improved in the last two quarters. The Purchasing Managers’ Index has also improved and is suggesting stronger growth for project cargo. And, while nothing is certain when it comes to geo-politics and diplomacy, we don’t expect a big impact from the proposed US steel tariffs. Meanwhile, the fleet profile is showing promising signs. We expect simple MPVs to leave the fleet in greater numbers, partly because of their age and partly because of the sulphur cap (the ballast water directive is unlikely to have much of an impact). We expect the MPV fleet to shrink by about 1% this year, while demand growth will be 0.5% and possibly as much as 1.0%. Meanwhile, the improvement in the container market will reduce the pressure on the MPV market as container operators will not be so desperate to dip into traditional breakbulk cargoes. With container vessels dominating the deepsea general cargo markets and breakbulk increasingly being containerised, the focus has increasingly turned to project cargoes. Three-quarters of newbuilds now have gear with lifting capacity over 500 tonnes, making them the only vessels that can carry heavy, difficult cargoes without being constrained by liner schedules and port equipment. Before 2010 – although they themselves would probably deny it – multipurpose operators were making money on the back of mostly Oil & Gas projects. Indeed, Maersk were one of the first to investigate the benefits, setting up its own projects division. Then the oil price dropped, projects were cancelled and the MPV market entered some dark years. But the project market is on its way back, although the long lead time involved means that the impact on shipping will only be felt gradually. Oil & Gas projects are again in the forefront as the oil price has stabilised after recovering from below $50 a barrel, but there is also growth in renewables, with wind power being a particularly attractive sector for project carriers. This is all good news, but we have to remember that the multipurpose market is one of the most difficult to analyse. Drewry has put a lot of effort into studying this sector over the past decade, but we cannot pretend that our forecasts are as robust as in other sectors. Difficulties stem from the awkward mix of cargoes – breakbulk, general cargo and project cargo – and terms of business that cannot easily be compared as a whole. Some fleets are pure trampers; some mix tramping with COAs and others run genuine liner services. Added to this, the business is often in the hands of brokers and freight forwarders, who are famously tight-lipped. Finally, the cargoes themselves are more difficult to identify from customs data. In these circumstances, information on the demand side involves more guesswork than in more mainstream sectors. Nonetheless, all the indicators point towards a better environment for the MPV sector than we have seen for several years. 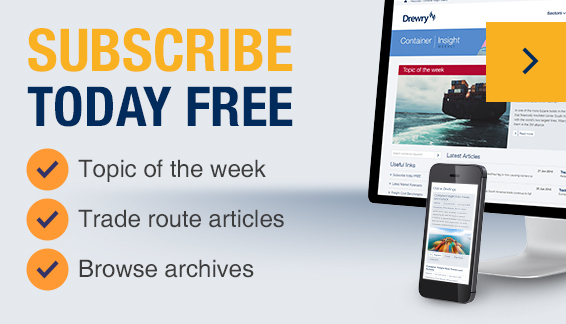 Multipurpose Shipping Forecaster is a quarterly report published by Drewry Maritime Research and is priced at $3,125 for an annual subscription. At this link example reports and detailed table of contents are available for download and evaluation.